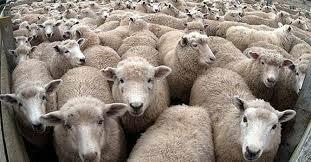 Do you ever catch a staff member lumping all volunteers into a herd, like sheep? Ahhh, Richard, I’ve been down this road so many times. When people generalize about our volunteers, they do enormous harm. Most staff have very narrow views of volunteering; they know the volunteers in their area and sometimes they only come in contact with one or two volunteers. To broad brush an entire force based on here say or one isolated incident is devastating, insulting and frankly demoralizing. I’m embarrassed to say that I’ve had staff say to me, “the volunteers don’t know what they’re doing”, or “the volunteers aren’t very reliable”. In every case, the staff member heard these claims from another staff member who either exaggerated or recalled an isolated incident. Me: Sheila, I just wanted to ask you a question about something Dave told me he heard you say in your meeting yesterday. Dave told me that you said ‘our volunteers don’t even know who our CEO is’. Is that accurate or did he misunderstand? Sheila: Oh, well, I, I don’t remember exactly, but I might have said something about a volunteer receptionist not remembering the name of our executive director. It really wasn’t that big a deal. Me: No, but I would really like to follow-up with that volunteer so that I can make sure she will have the correct information. We wouldn’t want anyone to be embarrassed. Do you remember who that volunteer was? Sheila: Well, no, I mean I was told this by one of my staff, Corella who observed your volunteer forgetting in front of a client. Me: That certainly is distressing. May I ask Corella who the volunteer is so that I can give her the correct information? Sheila: Well, sure, I guess, but really it’s no big deal. Me: Thank you, I will follow-up with Corella. Our volunteers are an asset and we want them to act in a professional manner, and believe me, volunteers want to do a good job. Me: Can you tell me about all the other instances of volunteers not knowing the CEO’s name? Sheila: I, I don’t know of anymore. Me: Well, that’s certainly good to hear. Fortunately one incident does not mean the majority of volunteers don’t know the CEO’s name. But if I may, in the future, we would really appreciate your coming to us if you have a concern about one of the volunteers so that we can address it. It’s not helpful to air these concerns in a general meeting because it gives others the impression that we are not doing our jobs and that the volunteers are incompetent which I know you know they are anything but. Sheila: All right, I will keep that in mind. Me: Thanks again, you’ve always been so supportive of our volunteers and we appreciate your help in making everyone aware of the great work the volunteers do. Now if you think I don’t actually use that formal business speak, I most definitely do. In order to make my point, I remove all emotion, and speak in a very formal, direct, businesslike manner. My extreme businesslike attitude subtly points out their unprofessional treatment of our volunteers. I’ve done this ever since I became very tired of doing nothing about these blanket statements. Embarrassing a senior manager in a meeting by “correcting” his or her broad statements in front of everyone is often a career killer. But, one on one, we can point out the error and ask for help in recognizing the impact our volunteers make. Volunteers are not sheep, or children or just little old ladies with no skills, they’re a microcosm of the best our communities have to offer. Volunteers have earned respect, so let’s help our respective fellow staff members remember that. I absolutely love your blog posts 🙂 They always hit the spot and are so readily relatable to my day to day experiences, or those of the people I support, out there managing volunteers. Keep up the good work. Hope you don’t mind me sharing links to your posts from the Volunteering Counts blog. Hi and thank you, no, of course I don’t mind. It’s nice to know that others experience the same highs, frustrations and craziness associated with our jobs that are certainly never dull. I’d love to know what clinical staff mean when they claim volunteers are ‘unprofessional’. Just because volunteers may not have professional qualifications (and some of them do) does not mean they are acting ‘unprofessionally’. Because ‘being professional’ in its original sense means acting on values and beliefs – and I would be hard-pressed to find a hospice volunteer that was not committed to the organisation’s values. Thanks for demonstrating how to persuade staff away from assumptions and generalisations. I thougnt this was a great blog post to share. This is a common problem and not just in environments such as hospices. As you say volunteers are invariably professional, wishing to give their time to make a real difference and believe in the mission of the organisation. The problem is, I feel, that sometimes volunteers are looked down on when they aren’t paid staff and treated accordingly. Volunteers are actually more committed than paid staff on occasion! Hi! Both your points are excellent. I think we need to always step in and correct misconceptions about volunteers. Are staff members uninformed? 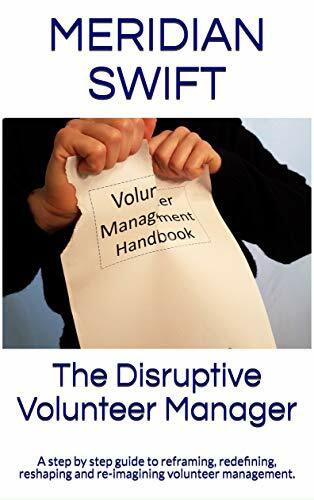 Are staff members flippant in their assessments of volunteers? Could they be jealous and threatened by the commitment and previous professions of our volunteers? Or, are they just overwhelmed and volunteers are easy targets for frustration? Whatever the reasons, we have to “clean up” their sometimes thoughtless remarks and close the divide between paid staff and non-paid volunteers. Thanks! I agree wholeheartedly. Think we always need to challenge any misconceptions. 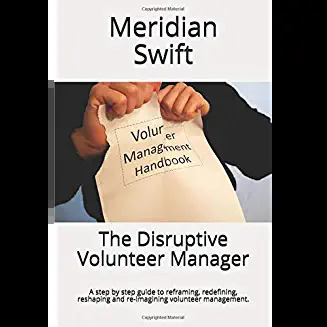 Staff can often feel threatened by volunteers, particularly in the current economic climate where redundancies and restructures are becoming a regular occurence. Think jealousy is another element too, especially if the volunteers have previous professions or better skills/knowledge. As my ex boss once said “volunteering shows more commitment than being paid to do something. You are doing it because you want to make a difference and not because you have to!” Think we also need to emphasise that volunteers are only ever complementary and not there to replace paid staff. You are also right too, that often volunteers are easy targets, after all who’s going to stand up for a volunteer? Many volunteers tolerate what amounts to bullying in lots of cases, because they love their volunteering and don’t want to rock the boat. Also, who’s going to believe a volunteer if an accusation is made by a paid member of staff? We maybe need to ensure that volunteers know their rights and although from a legal perspective, they don’t have any, apart from under health and safety law/safeguarding, it’s good practice to ensure they feel supported and know who to go to if they have been treated poorly. Orgs need to demonstrate they value their volunteers and invest time in their volunteer programmes. Think on the one hand you’re right and we need to tackle the thoughtless remarks and try to close the staff/volunteer divide. This could hopefully be tackled by better information before volunteers are involved and encouraging staff to support and encourage volunteers: maybe by running training or information sessions. Sorry this comment is getting longer by the minute!